I’d been looking forward to going to the Rogue-Umpqua Divide all year, but I just couldn’t seem to squeeze a camping trip down there into my schedule earlier in the summer. Then, in late July, the Whiskey Complex fire erupted east of Tiller, just 9 miles west of Donegan Prairie, one of my planned destinations. So much for that. 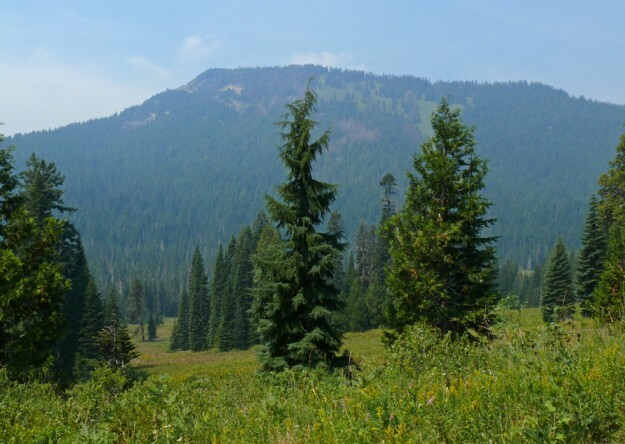 But last week I was lying awake in the middle of the night, my mind wandering all over the place as it often does in the wee hours, and I thought, to hell with worrying about the smoke, I’ll just go to the north end of the Rogue-Umpqua Divide. 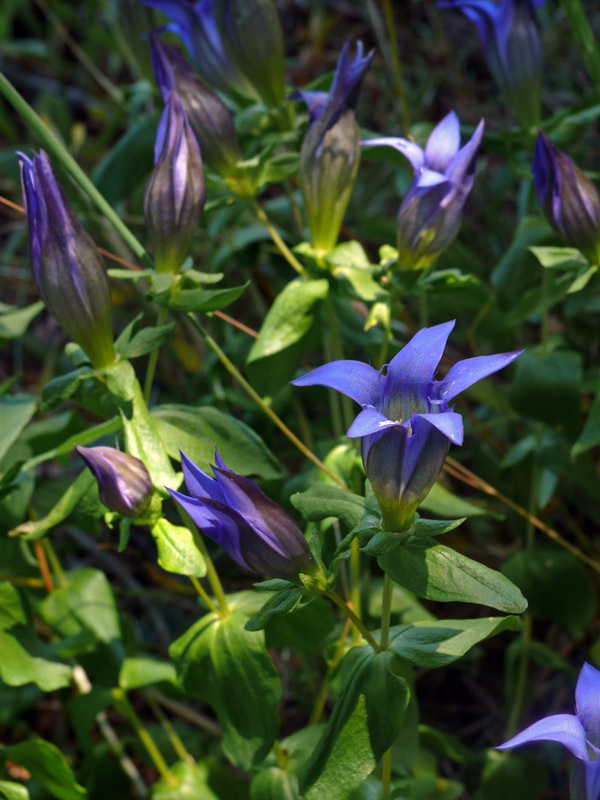 Fish Creek Valley is one of my favorite places, and there are lots of late-blooming flowers to make a trip in August worthwhile. Unlike many ideas born in the middle of the night, this one still seemed realistic in the morning, so a couple of days later, I packed up my van and headed south. Rattlesnake Mountain looms right above Fish Creek Valley. The smoke in the air makes it seem much farther away. Summer is definitely over. 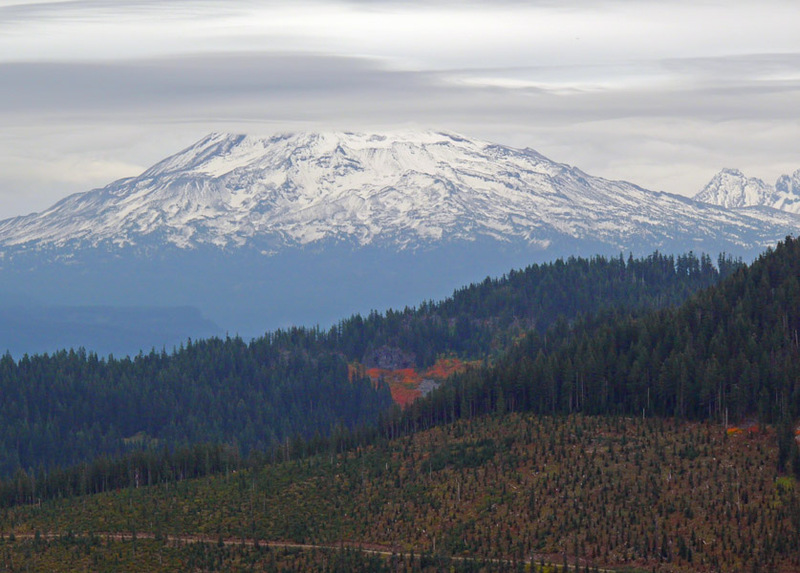 The vine maples are turning on a distant talus slope, and new snow has fallen on South SIster. 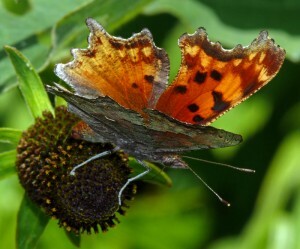 A gorgeous hoary comma nectaring on a coneflower (Rudbeckia occidentalis). Earlier this week (August 18), Sabine Dutoit, Andrew Mylko, and I went to see what was left at Lowder Mountain and take a quick look at Quaking Aspen Swamp. I was actually surprised at how far along things were at Lowder, no doubt the recent hot days pushed a few more plants over the edge. There were still a number of ericaceous woodland plants in good bloom, including Pyrola picta and Chimaphila umbellata. At the small wetland that empties into Quaking Aspen Swamp, Kyhosia bolanderi and Parnassia cirrata were in bloom along with some early Stachys cooleyae. These were down in QAS as well. Lowder Mountain is a great place for butterflies earlier in the season, but they seemed to be disappearing along with the flowers. A single explorer's gentian (Gentiana calycosa) blooms near the trail where it can be studied close at hand.